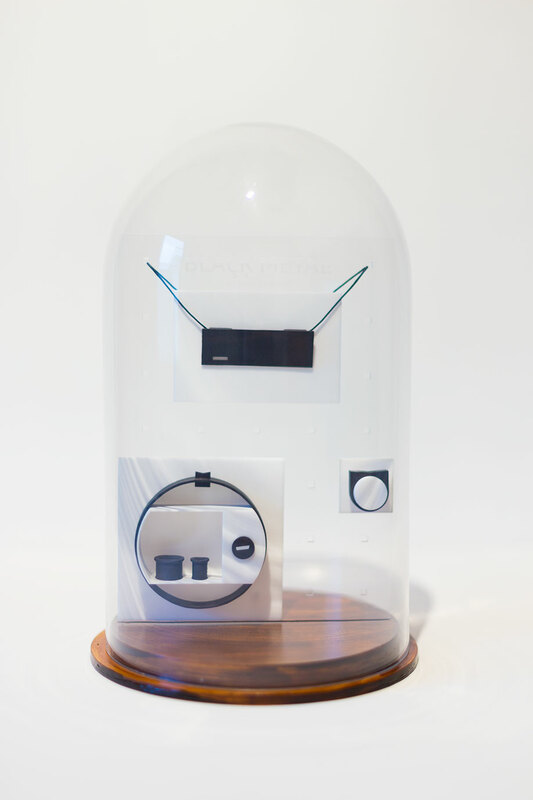 During Milan Design week 2015, I presented my new jewelry collections in glass bells. 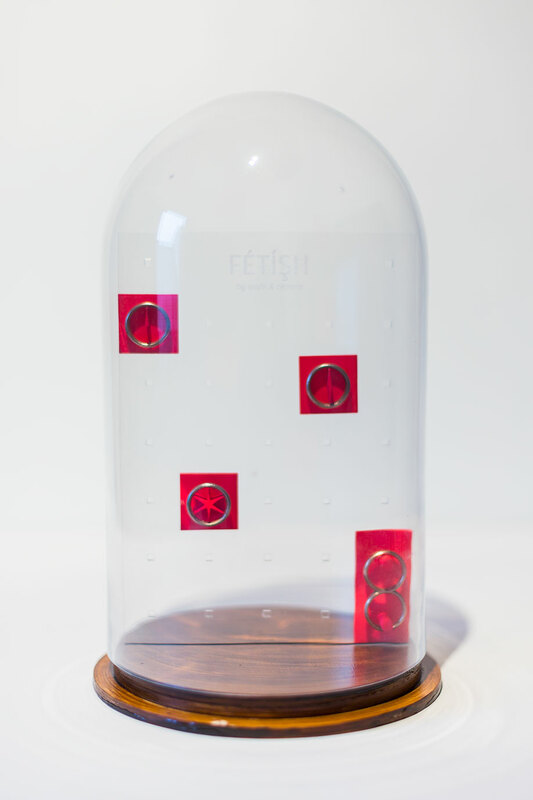 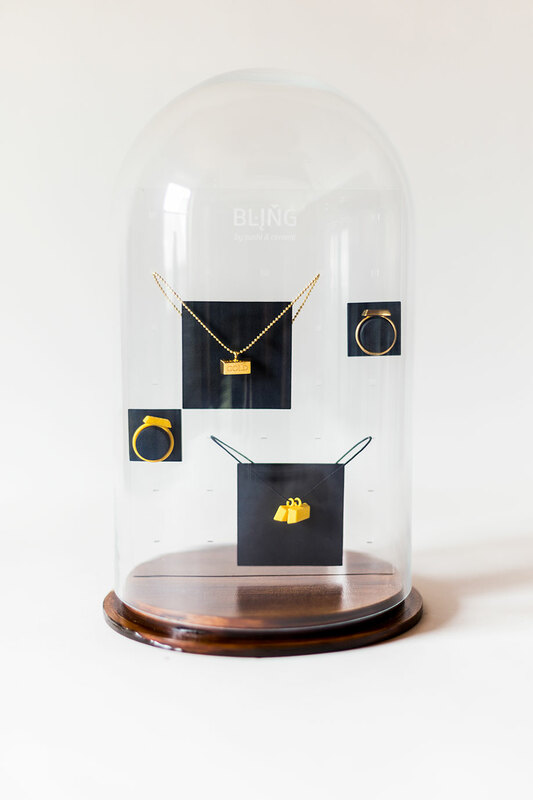 In each glass bell is a laser-engraved plexi plate with the name of the collection. 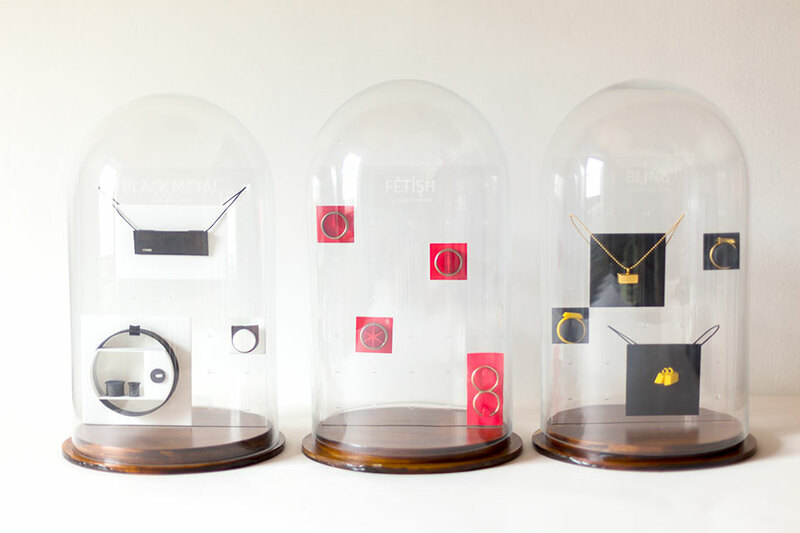 I designed custom 3D printed objects that fit on the plexi plate to hold each piece of jewelry.